Bob Hawke Landcarer of the Year Award winner, Colin Seis, conducted a workshop on Pasture Cropping at Wannamal Hall on Friday 8th April. This innovative method of farming ensures that ground cover is maintained all year but of major importance is that it leads to very productive land with exceptionally low inputs of fertiliser and no insecticides of fungicides required during a cropping program. 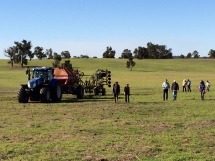 In the eastern states of Australia native grasses are used extensively for pastures but Colin was equally encouraging about sub tropical perennial pastures on the sandy soils of Western Australia. Workshop participants had travelled from as far as Newdegate to hear this inspirational man speak. 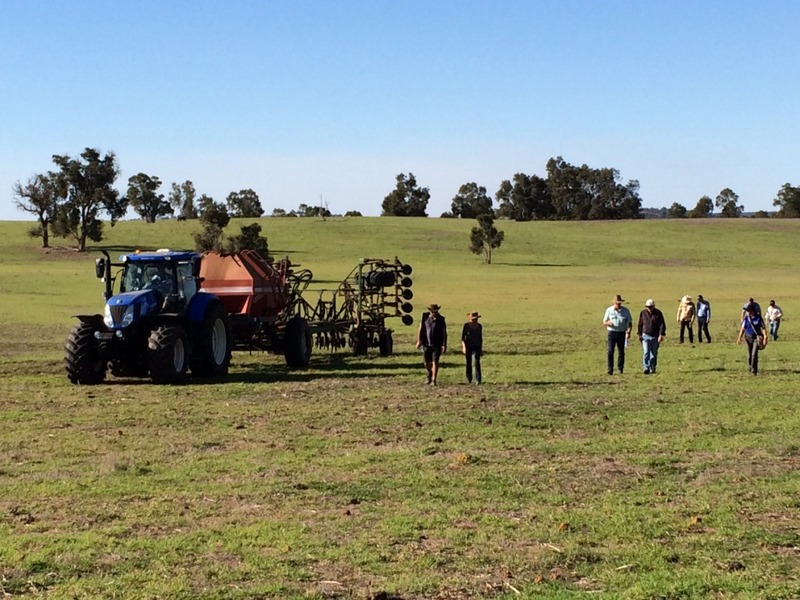 The workshop shifted to the Howard family farm in the afternoon to observe perennial pastures and to assess the ability for pasture cropping to succeed when direct drilling into perennials. We were treated to a precision driving and no till machinery run by Errol which showed that little damage occurred to the kikuyu pastures and that planting a crop into the pasture was quite viable. For further information a booklet will be available from the landcare centre. We acknowledge the assistance of the Australian Government through the 25th Anniversary of Landcare Grants which enabled us to fly Colin Seis here from New South Wales to conduct the workshop.